Jenna M. Santos's life was tragically taken in a car accident on January 11th 2017. 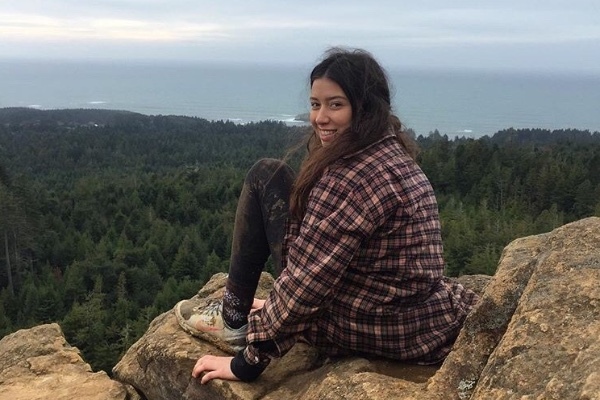 Jenna and her best friend Natalie were returning home from a trip to Humboldt when their car veered off the road and into an overflowing creek at which point Jenna lost her life. Prior to the accident Jenna told Natalie that although short, this had been the best trip of her life. 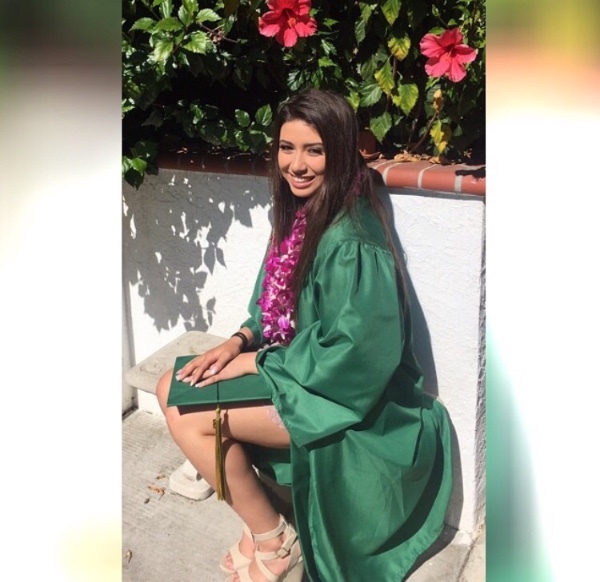 Jenna graduated from Castro Valley High School in 2015 and attended Humboldt State University. She will forever be remembered for her contagious smile, kind heart, and her ability to light up any room. This fund has been set up by Natalie Griffin and her family in honor of Jenna. Thank you for your contribution of any size - the money raised will go towards the costs and expenses of funeral services for Jenna M. Santos. Hi everyone, I'm Briano, Henry's brother and Jenna's uncle. Thank you all so much for the love you have shown to our family since Jenna's passing. Here is a short message from Jenna's parents: "Hi everyone this is Henry, Jenna's father. On behalf of Della and I, we would like to thank you all so very much for your very kind donations and support. We are so happy to view all the people Jenna has touched in some special way. 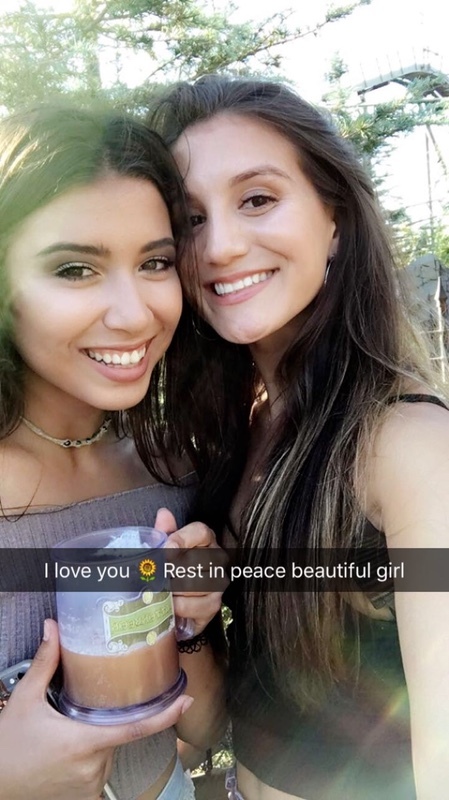 Please don't forget our angel; we promise to honor her legacy. We love and miss you so much, sweetie." Jenna was one of my students last year at HSU and I was lucky enough to have her for two semesters. She was such a sweet, intellectually curious, and dedicated student and I loved having her in my class and getting to know her. I am so sorry for Jenna's family and friends, this is such a tragic loss. My deep condolences to the entire family for your loss . I am convinced that our loved ones are in God's memory for the resurrection hope of Acts 24:15 and John 5:28,29. God promises to return their life and he will do so under his new system of things (Revelation 21:3,4 )I hope that these promises bring the family and friends comfort and hope. Prayers to all. May she be in the presence of the Lord for eternity! I will never forget Jenna's contagious smile during cheer practices......sending love and prayers to her family. A young life taken before her time. I didn't know you but I know friends & know some of your wonderful loving family who are missing you so terribly because of a freak accident . Not only will you be missed dearly ,the world has lost a valuable young woman.